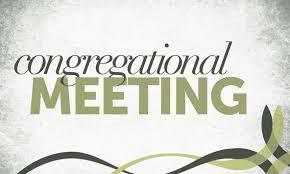 The Bylaws Committee has called for a Congregational Meeting on Sunday, November 4th, immediately following worship, to ratify the revised Church Bylaws. A couple of weeks prior to that vote, the committee will send a copy of the revised bylaws to the entire membership. Then on Sunday, October 28, members of the committee will be available after worship in the Community Room for anyone who would like to address questions or concerns regarding the updates that committee members have made.